The Daily Gem Bonus: Dark Purple Worn Blanket. Guess what i just saw? Dark Purple worn blanket. Yep. there it is. 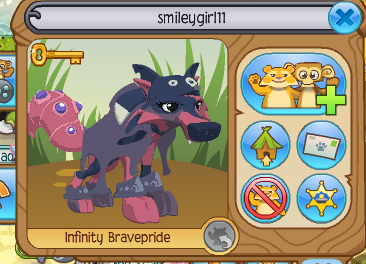 Smileygirl11 is wearing that rare piece of clothing. she wouldn't put it on trade, and kept walking away from me, but i guess a pic of her WEARING it is fine.